Heirloom Audio Productions continues to astound and astonish listeners with their latest Audio Treater production: With Lee in Virginia. 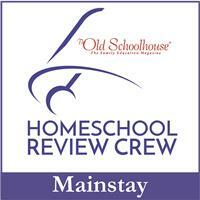 We have been enthralled by the quality of their earlier productions and were excited to be a part of the Schoolhouse Review Crew’s team for this 2 CD set and downloadable PDF Study Guide. Arlene (15) has spent the past several summers with a group that reenacts Indiana’s involvement in the Civil War, so this story runs right alongside her other studies of the War Between the States. With Lee in Virginia is an adaptation of the original story written by G.A. Henty that was first published in 1890. The story follows the adventures of Vincent Wingfield and his slave Dan throughout the Civil War. Since the story is told from the perspective of a Southerner from Virginia, many Yankee listeners may be surprised to learn they didn’t learn everything about the war from their Elementary or High School textbooks. The story of With Lee in Virginia would be enough to hold your attention by itself, yet it is made into an almost magical listening experience through the use of superb voice actors and quality sound effects. When you close your eyes and listen, your brain imagines out the scenes and you are transported to the plantation, the slave auction, and the battlefields. If you’re a family that listens to audio dramas in the car, this is one where Mom and Dad are going to disagree over who has to drive because everyone will want to give it their full attention! Fear not! At just over two and a half hours you can listen as many times as you want. The story is just as interesting the second, third or even fourth time! Emily, Arlene, and I have listened to the story several times during the past few weeks. Once Kurt was in my car with us, and he was intrigued by the story after just a few minutes. This third installment from Heirloom Audio Productions once again features Brian Blessed as G.A. Henry, along with outstanding performances from Sean Astin as Jeb Stuart, Kirk Cameron as General Stonewall Jackson, and features Jim Weiss as General Johnston. Our family has loved each of the Audio Theater productions from Heirloom Audio, and With Lee in Virginia just might even outrank Under Drake’s Flag and In Freedom’s Cause as our favorite. It is common for the girls to grab one of these audio dramas on our way out the door when they know we’ll be in the car for an hour or more. They are a treat the entire family will enjoy! There is no minimum age requirement to listen to CD’s from Heirloom Audio Productions although many have recommended them for ages six and up. However, since With Lee in Virginia focuses so intently on the call to duty and the battles of the Civil War, I recommend parents listen through the first time without their children present to ascertain if their listeners are mature enough to listen to and discuss the topics of this war: state’s rights, slavery, battles, prison camps and the like. I would personally recommend this for listeners aged 10 and up, or those who have attained the maturity of a fourth grader. 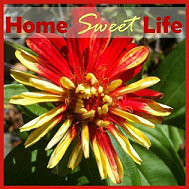 Heirloom Audio Productions has put together an astounding 52 page Study Guide which is available as a downloadable PDF. This study guide feature numerous sections that can help parents walk through the story, and those difficult topics, with their children. The entire story is divided into sections in the guide and each section has Listening Well and Thinking Further questions. Most of the sections also have Defining Words listed to help your family expand the necessary vocabulary to best appreciate the story. Several words that Arlene already knew from her study of the war, but your students may not yet know include: ruckus, plantation, overseer, secede, seize, pitchfork, abolitionist, calvary, regiment, maneuvers, sternum, convalescence, parole, marauding, and picket line. The beginning of the Study Guide includes biographical information of G.A. Henry, General Robert E. Lee, and General Thomas “Stonewall” Jackson. There are both original and reproduction photos sprinkled throughout the guide, which may lend your family to decide to read it in color on your computer or laptop and answer the questions orally. The PDF is a high quality resolution that translates well to print in either color or black and white if you would rather have your students write down their answers. I was amused to see a recipe for Johnny Cakes, and I’m pretty sure the only reason Arlene hasn’t made any yet is our current lack of cornmeal in the kitchen cupboards! Near the end of the Study Guide you will find other recommended reading about Robert E Lee. At the end of the guide is a two-part Bible Study on Duty and Love Your Enemy. It also includes a Biblical look at slavery. So often the short answer for the Civil War is “it was fought over slavery.” While that was one of the major factors in the Southern state’s secession from the Union, it was also a war fought over State’s Rights versus the Federal Government’s power, and the economic principles of the time. It seems like this is a fitting time to discuss with your children (of all ages) how the U.S. Constitution grants each state the right to self-government. How this line wavers back and forth between state power and centralized power is often in the news these days. Within the story presented in the 2 CD set, two quotes from Lee and Jackson keep being repeated - with good reason. They are key, Biblically sound, principles to instill in your own heart, and the hearts of your children. Stonewall Jackson was famous for saying “Duty is ours; consequences are God’s.” General Robert E. Lee, in a letter to his son wrote “ Do your duty in all things. You cannot do more, you should never wish to do less.” Our responsibility as Christians is to do our duty, in line with God’s Word, and to trust Him for the outcome. I cannot praise this installment of Audio Theater from Heirloom Audio Productions highly enough! You can order your own copy, along with several bonus features for only $29.97 plus S/H. 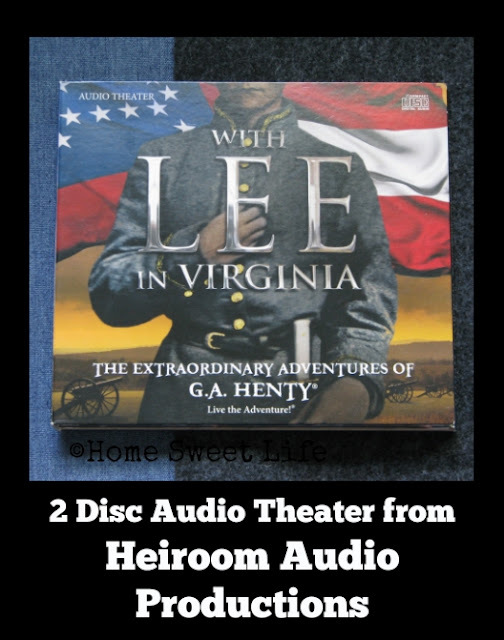 If your family and friends love audio dramas as much as you do, they have a special family four pack that includes four copies of With Lee in Virginia, plus a whopping 6 bonuses for only $99.97 plus S/H. Click on over and get your copy today, you’ll be glad you did! 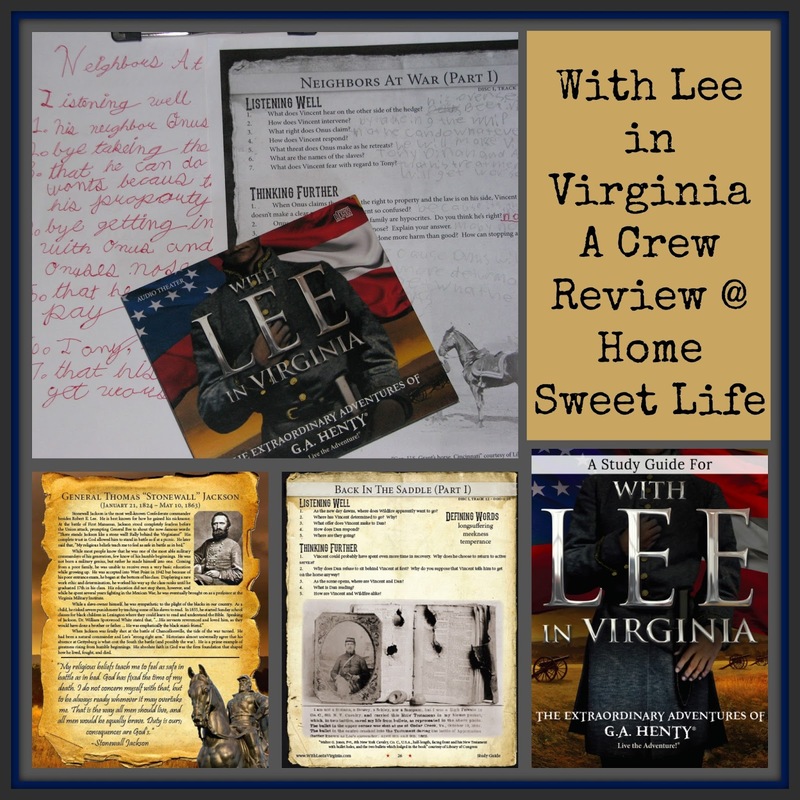 If you would like to read more reviews of With Lee in Virginia, just click the Crew banner below. Does thinking of Elective courses for your High School student make you sigh, or tremble? 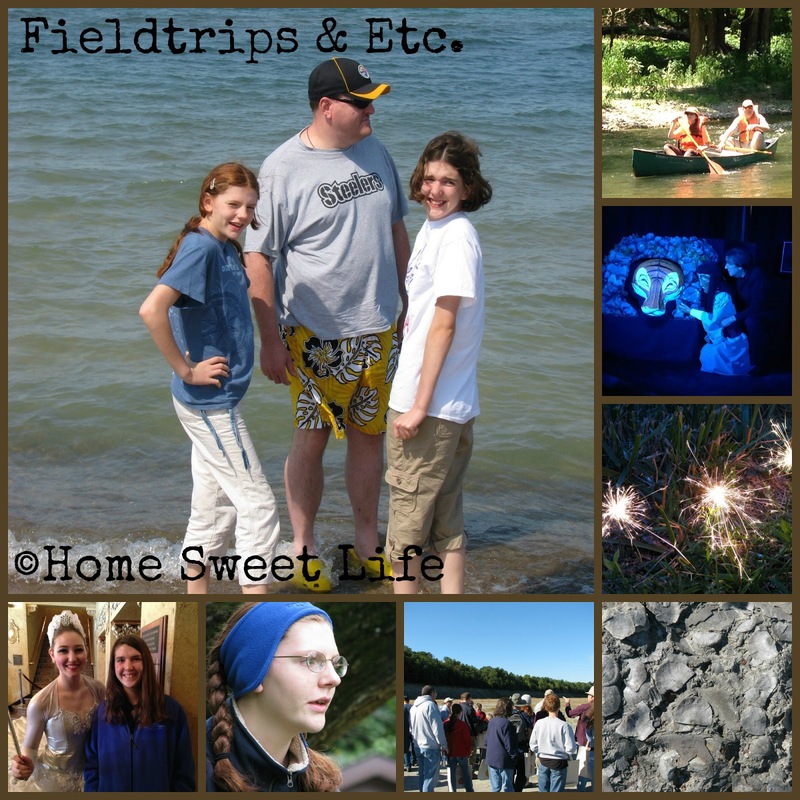 This month's Homeschooling High School blog hop is all about electives - from choosing them to fitting them in, plus thoughts about following passions, finding a job for your teen, and being intentional about teaching life skills. Start here with what we've shared, and then click on over to see how our friends tackle electives. You and your students can have fun, learn a lot, be challenged, and be inspired all with elective coursework. Stop being afraid of electives, and find some great ideas. Read on! Elective: (of a course of study) chosen by the student rather than compulsory. I have found that letting our girls choose their electives means they actually complete them, without whining, and without dawdling. It really is important to let your High School student choose their own elective courses. 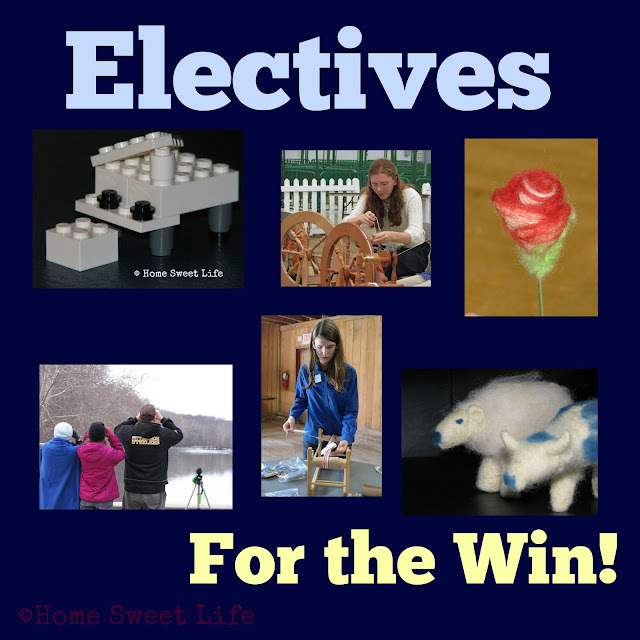 Many states require some direction on electives; i.e. they need two art classes or two foreign language credits. If this is the case in your state, keep it in mind when you sit down and truly listen while you talk over electives with your student. If your son or daughter really, REALLY wants to take Russian, make it happen. I'm not saying you need to plunk down $179 or more for Rosetta stone, but you need to evaluate how and where your student can learn Russian. Perhaps your local library subscribes to Mango or Rocket Languages. Maybe your student is a YouTube whiz and can piece together their lessons, or you have a small community of Russians who live nearby that would teach your student Russian in exchange for your teen teaching them English. There are so many solutions to the things we often think of as problems, that we need to just step back and laugh at ourselves sometimes. If your child needs two elective credits in Art, find out what kinds of art intrigue them. Maybe your daughter has always wanted to learn watercolors (ARTistic Pursuits has a great book for that,) or your son wants to learn graphic arts so he can illustrate his own comic books. PLEASE tell me I'm not the only Mama out there who wants her children to have fun and not be bored to death doing their schoolwork! Learning can be SO much fun if we just break out of the mold we grew up with in Public School! Stop thinking about your own education, and start imagining something much, much better for your High Schoolers. Imagine what it would be like if you could enjoy High School alongside your students. Case in point, a little over a year ago our girls were working on the Fiber Arts section of Sculpture Technique: Model from ARTistic Pursuits. They were having so much fun that I joined them. I learned how to dry felt, and I made a rose. Basically, electives are any course that isn't a core required course for a High School diploma. They can also be additional courses in core subjects that go beyond your state's requirements. In the state of Indiana, students must have 8 semesters of English/ Language Arts, 6 of Math, 6 of science, 6 of social studies, 2 semesters of Physical Education and a semester of Health & Wellness. If a student has 8 semesters of Science or Social Studies, they can count the extra coursework credits as electives. Here students are also required to have 5 semesters' worth of "Directed Electives" which include World Languages, Fine Arts, or Career and Technical Education. Finally, they are required to have a minimum of 6 other elective courses. Don't limit your child on the number of electives they can take... as long as they get those core requirements met! It is the choosing of their own elective courses that often spurs your High Schooler on to finish the core courses. Trust me, I know! Here are the electives that Emily has already completed: Drawing, Art History, Latin, American Sign Language, Theatre Arts, Advanced Acting, Civics, Photography, Fiber Arts, Speech, Chorus, and Music Arts and Appreciation. The electives she's still working on or I'm hoping she will complete before graduation include: Piano/ keyboarding, Desktop publishing, Chemistry of Food, Consumer Economics, and Personal Financial Responsibility. Arlene is younger, but already has quite a few electives completed: Theatre Arts, Advanced Acting, Photography, Fiber Arts, Culinary Arts, Chorus, Drawing, Painting, American Sign Language, and Civics. 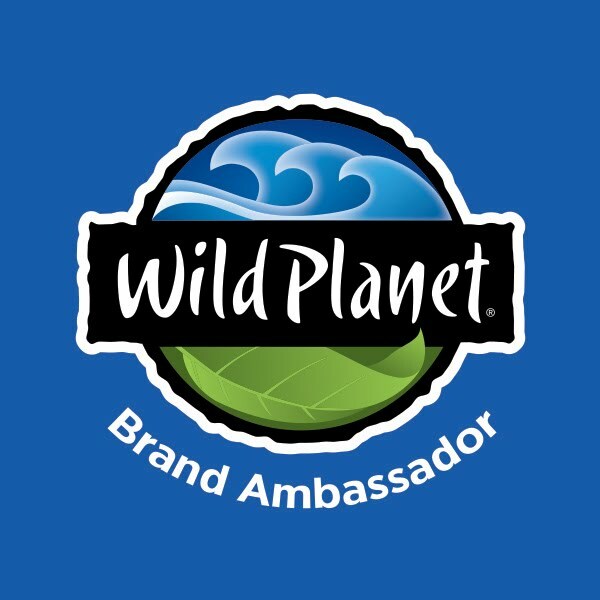 She plans to take coursework for credit in Natural Resource management, Survival Skills, and possible Entrepreneurship as well. She still has three years to add electives to her list. As long as she is getting her required courses completed satisfactorily, we're game to her exploring new things. What are your High School students interested in? Does your son want to be an audio technician or your daughter an Interior Designer? Turn their interests, desires, passions, and wonderings into elective courses. Let your students explore Fashion Merchandising or Hospitality and Tourism. As important as electives are to finishing your diploma requirements for college, they are even more important for students who are considering a career over college upon graduation. Electives are where they explore, this is where they are challenged to try something new, this is where they GROW! Now to the nitty-gritty: how do you fit them all in? Carefully! We have found that it is often easier to do the bulk of elective classes on Thursday or Friday afternoons, or even over the summer. If your student is a lifeguard at the local pool, I truly hope you're counting at least some of that time towards their Phys Ed credits. If your student works as a summer camp counselor and hikes all over kingdom come with a group of 5th graders, the same applies. Art classes are usually easier to do in chunks of time than an hour each day because you don't spend as much of your total time just getting your supplies out and putting them away. Many music course are completed fifteen or thirty minutes a day during practice and lesson times for their chosen instrument. Is your High School student involved in local theatre? It doesn't take long for that play practice to add up to enough hours for a semester credit. 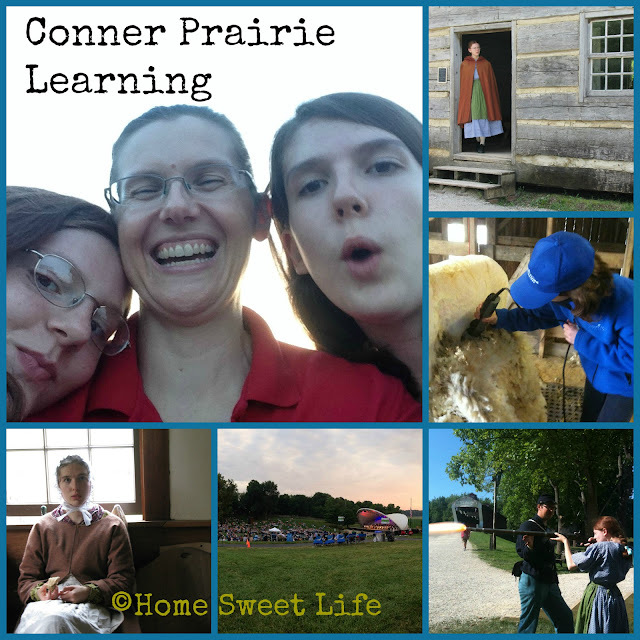 Our girls rack up hours for acting and theater coursework while reenacting at a local living history museum. Elective course also give you time to focus on being intentional about teaching life skills. Home Ec may have a different name in your state, but it should still involve learning how to prepare foods, doing laundry, learning how to clean the entire house, and understanding how to balance a checkbook, even if your teen never writes an actual check! Your teen may be looking for a job. Give credit where it is due for life or business skills they learn on the job. Running their own lawn care business can be listed as entrepreneurship or business management. Being a regular babysitter can go under child development or family and consumer sciences. Sit down with your teen and discuss what courses they have thought about for electives. Then honesty discuss how much funding is available for those courses. Work together to find solutions. If your daughter truly wants to take violin lessons, budget in the purchase of her first violin, and then help her figure out ways to earn money to pay for her ongoing lessons. Electives can be so much fun, and they can happen anywhere. Visit some of our friends listed below and learn how they tackle electives! 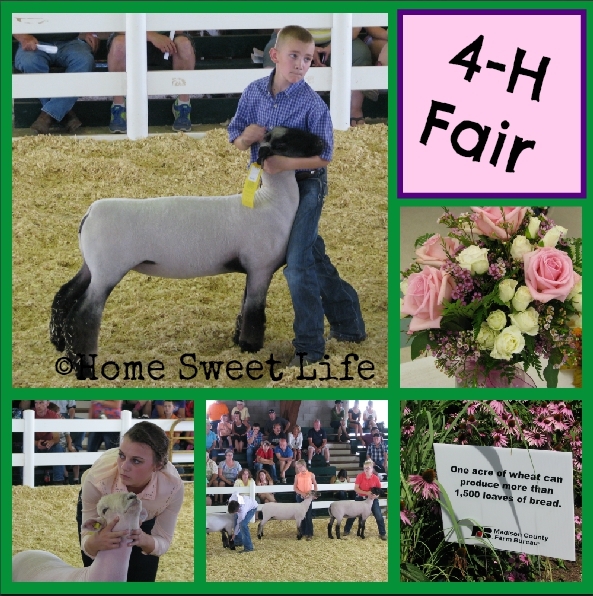 We are so thankful for our local 4-H program. This is our Fair Week and we've been trying to enjoy it all. Having friends in 4-H in other states, we understand how blessed we are to participate in 4-H in Indiana, where Purdue University oversees the statewide program. 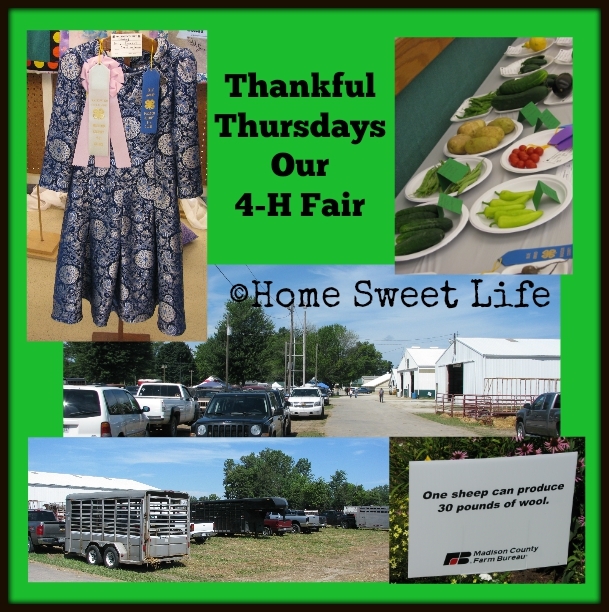 Not everything is perfect, but there are a lot of things we do right here in 4-H. One of the best things is 4-H Fair Week! There are so many projects to view, livestock competitions to watch, and friends to meet up and talk with. Our girls especially like to wander the aisles of the Rabbit barn and see all of their friends' bunnies. There was a cute set of lion head babies with their Mama... just old enough to be cute little tan puffballs. I appreciate the ability for our girls to participate in 4-H. Much has changed since I was in 4-H as a child, but the overall program continues strong with the focus on the 4-Hers learning while doing their projects. This leads them to fulfill the motto: "To make the best better." We had a fun day at the fair yesterday. I've included just a few photos from early in the day. We watched several classes of the sheep competition, and the weather was picture perfect. I knew that after we left, the rest of the parking lot would fill up with people coming to watch the Supreme Showmanship competition, ride the rides, and of course ... eat fair food! I am so thankful for the invention photography! 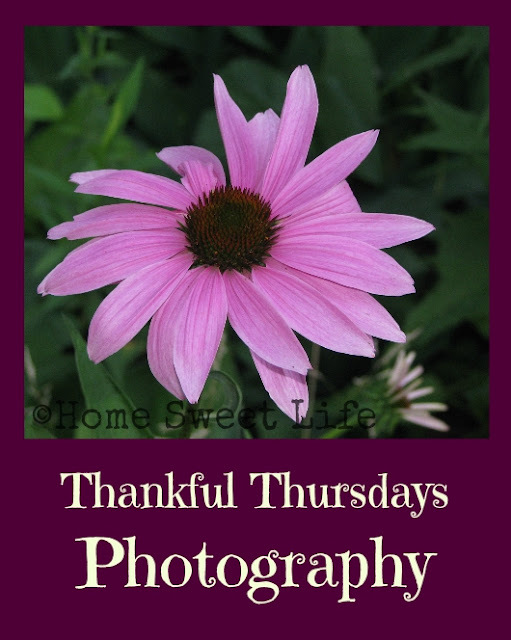 I have been blessed over the years to be able to record so many memories through photographs. My parents taught me how to use a camera at an early age (back in the day of black and white prints and 110 cameras.) I continue to take photos today, more than three decades later, because they remind me of how blessed I truly am. I have taken thousands of photos in my lifetime. My husband Kurt appreciates that now I can view them on the computer before printing, instead of waiting and waiting for developing, and then being disappointed at the ones that didn't turnout as I had hoped. Photography has changed a lot since the Civil War. What hasn't changed is our desire to show to others what we have seen with our own eyes. Both of our girls like to take photographs. Today was photography judging for 4-H. Not only was I thankful for an opportunity for our girls to talk to the judge about their work, I was thankful to see that photography is an interest they share with so many of their friends. When their group of teens spends time truly caring for one another and encouraging one another in their photography - cheering each other on - it helps build the bonds of friendship that last. I inherited a lot of old family photos from my Grandma. I like to look through them and see what my relatives looked like when they were young. Some of the outfits make me chuckle. Probably my favorite photo is one my Grandma gave me not long after Kurt and I were married. It is a picture of her sitting on my Grandpa's shoulder. She told me it was taken around the time they were married. It reminds me that life should be full of love and joy. Even in the difficult times of life, a photograph can remind us of love and joy. A simple picture can be used by God to remind us of His faithfulness. I informed Emily and Arlene that we were getting up early on July 4th and cleaning up the yard and garden. I told them it would be at least an hour... and it ended up being more like 2 hours for each of them, and almost 3 hours for me. Not too bad considering it has rained almost every day since Memorial Day weekend, and we were woefully behind on yard work. While I mowed the yard, I set the girls to task on the main garden. It's not very big, but it had a LOT of weeds. 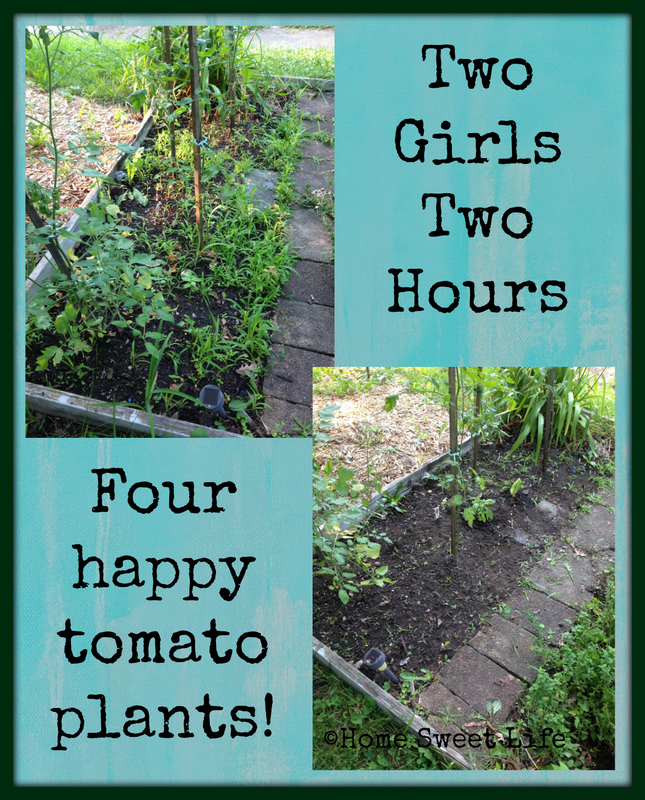 It was nice to actually be able to see the tomatoes, peppers plants, and green beans when they were finished! The actual weeding probably only took them about an hour, but before they could begin I had them help me pick up sticks and trash from the yard (also not very big,) and cut the volunteer trees out of the bushes around the front porch. Someday I'd love to remove the bushes and plant more roses, but for now, I just wanted bushes and not volunteer mulberry and crabapple trees. After they were done weeding I just kept yelling out jobs that still needed accomplished so they wouldn't think they were done already. Since that weekend we've picked several tomatoes, and have many more ripening on the vines. There is nothing quite like a fresh-picked tomato from your own garden! After I finished mowing, I pulled out some poison ivy, trimmed out some other volunteer (bird-pooped) trees around the house, and helped Arlene fill in a hole in the driveway. Is the yard perfect? Far from it. Is the yard better? Definitely! Maybe we'll get a day this week when its finally not raining so the girls can go out and weed the back garden. It's been neglected too long & needs some love. 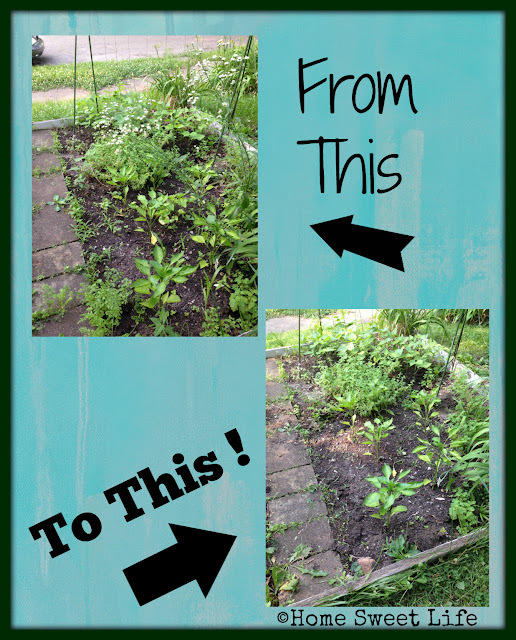 At least the things growing in it can hold their own: our strawberry patch, spearmint, and mullein. How is your yard looking today? With all this rain I'm going to need to mow again soon! Inside my fridge you will find an assortment of produce, some fresh whole milk, farm fresh eggs, and either something defrosting for dinner, or the leftover from earlier in the week. It seems like as fast as I fill up the fridge, my family empties it. Does this happen in your home too? We shop at a variety of stores, plus the local Farmer’s Market for produce. I try my best to purchase our meat directly from the farmer who raises it, but I know that’s not always possible, or realistic for the budget, but we do our best. What else is in the fridge? Depends on the day. Today besides the produce (blueberries, carrots, celery, lettuce, a mango, avocados, and raspberries and strawberries in the freezer,) it also includes ketchup, mayonnaise, olives, pickle relish, beef and chicken broth, lemon juice, fruit juice, yogurt, cheese of four various kinds, some leftover ground beef and baked chicken, and strawberry jam. When I actually opened the fridge to take a picture I also saw: spaghetti sauce, butter, aloe, celery, potatoes, a lemon, a grapefruit, and some GMO-free sweet corn. Guess what’s for dinner tomorrow?! 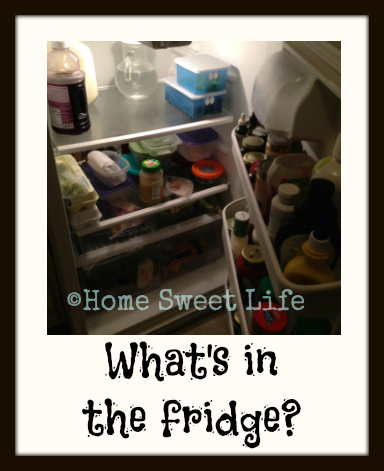 Is there something you try to ALWAYS keep in your fridge? Leave a comment and let me know what it is! Today's writing prompt was: Where are you going, or where have you been? While not just one road trip, like the usual theme, this post contains my memories of several road trips... a few that even included a plane ride. Enjoy! I sometimes wish I could know where I’m going, however, where I think I’m going and where God takes us are often so very different. So instead of thinking ahead, I’ll think back and tell you about some of the places I’ve been. When I was in elementary school, my parents took my older brother and I to Eastern Canada for about two weeks. We went through Ontario, Quebec, New Brunswick, Nova Scotia, Prince Edward Island, and Newfoundland. We came home through the Northeastern United States, but other than stopping to see my Aunt and Cousin in Boston, the US part of that trip is a hazy memory. I do remember that my cousin Steven had a pet tarantula. When my brother was in High School, and I was in Middle School, we took a family trip out west. FYI- we live in Indiana, so anything past Illinois was “the West” in my mind. I remember visiting the Badlands, Mount Rushmore, Wall Drugs, and spending three days in Yellowstone National Park. We also visited the Grand Tetons, Bryce Canyon, Arches National Park, and the Grand Canyon. I remember the fields and fields of sunflowers as we came home across Kansas. I also remember the wind. I think that helped me understand why The Wizard Of Oz story was set in Kansas. Since Kurt and I have been married, we’ve been quite a few places too. Kentucky, Ohio, and Pennsylvania have been repeat visits. We keep meaning to go further north into Michigan, but so far we’ve only been in the lowest part of Michigan together. We've been to Baltimore twice, and to the Smithsonian Museums in Washington, D.C. We flew to Colorado when my brother got married, and spent a lot of that trip in and around Rocky Mountain National Park. A couple years ago we took the girls on a road trip to Oklahoma to visit our dear friends and attend the Delaware Indian Pow-Wow. I’ve been blessed to go a lot of places in my life. I’m sure there will be more trips in my future, after all - Life is a Field trip! 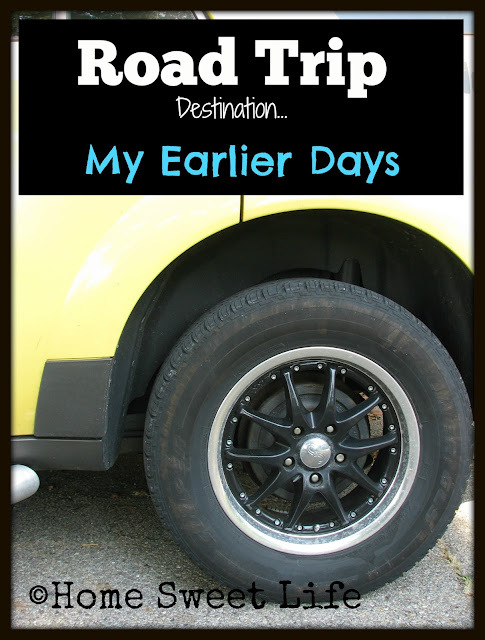 Soon there will be more regularly scheduled Road Trip posts... the July blogging challenge has slightly delayed them. 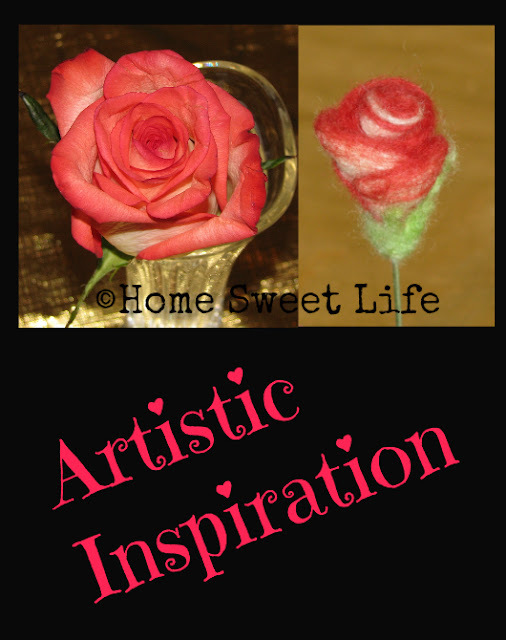 Where does your artistic inspiration come from? Do you troll Pinterest looking for ideas or visit the local art museum? Do you have a shelf full of reproductions of the masters, or do you watch a Netflix documentary? Artistic inspiration can come from almost anywhere. Mine usually comes from nature. I love to go outside and view the beauty God has created. I take a lot of pictures, and often they become the basis for what I create. I prefer to create art outside, right where I get inspired, but life often gets in the way and limits my time. That’s where a photo comes in handy. It allows me to go back and finish my project, whether its a painting, drawing, or something three dimensional at a later time. It also helps capture the lighting of the moment. If I’m drawing or using pastels, by the time I finish the lighting has often changed, so the photo preserves the moment I wish to capture. Photography itself can be your art form. 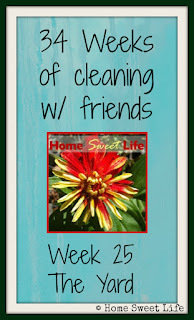 I enjoy taking my own pictures to use here on our blog. Both Emily and Arlene take pictures to exhibit for 4-H. Arlene is rarely without her camera. A point and shoot camera can take wonderful pictures if you’re taking the time to compose them, and willing to take a lot of pictures. It need not take much money, and digital photography, while not as good as film, has the added bonus of only printing the photos you love. Wherever your artistic inspiration comes from, I encourage you to go visit there soon. Find the comfort and relaxation that comes from creating and enjoying art! As I sit here to write another Thankful Thursday post, I am reminded of this verse from Thessalonians. It does not say give thanks for all circumstances, but to give thanks IN all circumstances. When we focus on the goodness of God, we CAN rejoice and give thanks. Spending time in daily communion with Christ keeps our focus on God, and not on ourselves. Verse three reminded me once again of where my focus should be, and made me give thanks once again for all Christ has done for me. Give thanks in your circumstances today, whatever they are. Spend time with Jesus - life, rest, joy, and peace! Do you have a special recipe that everyone raves about? You know what I mean right? The recipe that everyone says “Oh, I’m so glad you brought that again!” I’ll admit that I’m not much of a cook, but I love to bake. The problem is, who wants to bake in the summer when you’re already running the air conditioner? Not me, and not my girls either. Who doesn’t love the ease of putting the ingredients in the crock-pot, turning it on, and forgetting about it until dinner? Like I said earlier, I’m no great cook, but I do love to use my crock-pot. My Mom didn’t have a crock-pot, so learning how to use one was all new to me. I wondered time and again why my friend only used theirs for entrees. Why not use them for desserts? I love pumpkin pie. My Mom’s recipe is the best. I’ve even requested it instead of birthday cake. Who has time in the summer to make a pie crust and then babysit the oven for an hour and half while it bakes? I wondered if I could adapt the pumpkin pie recipe, turns out its delicious! 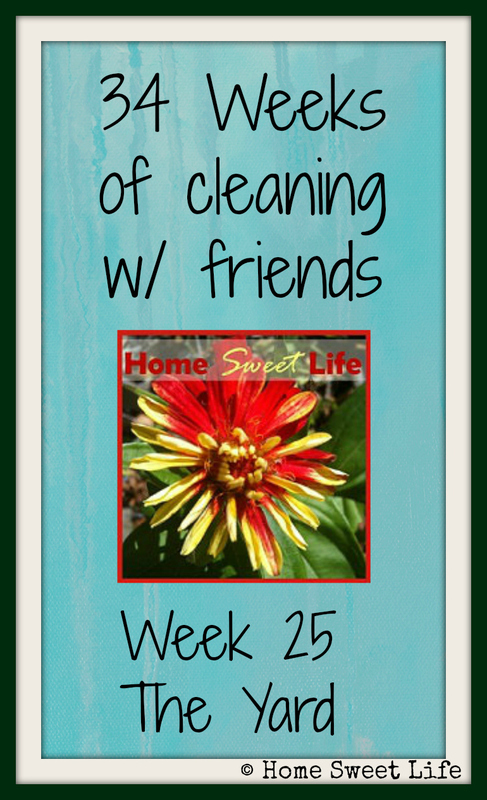 I’ve blogged about it before, and it’s one of our most-visited posts. 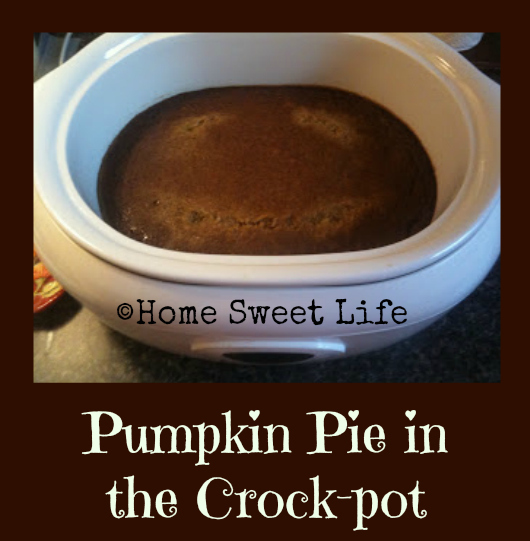 Without further ado, click on over and learn how to make your own pumpkin stuff - you’ll be glad you did! 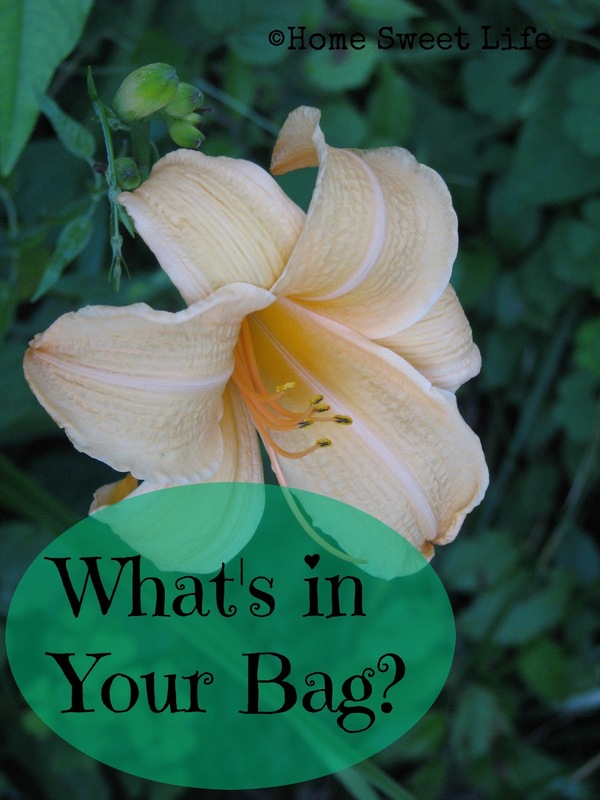 Today's prompt in the July Blogging Challenge is: What's In Your Bag? I thought you'd enjoy a photo of a pretty daylily more than my messy bag, but I knew I needed some photo. You're welcome for sparing you the messy bag. Well, Lynn & Jennifer did ask. probably my laptop...maybe not, but next week judging will be too crowded to take my laptop, so I should probably get ahead on my blogging tomorrow while I wait. 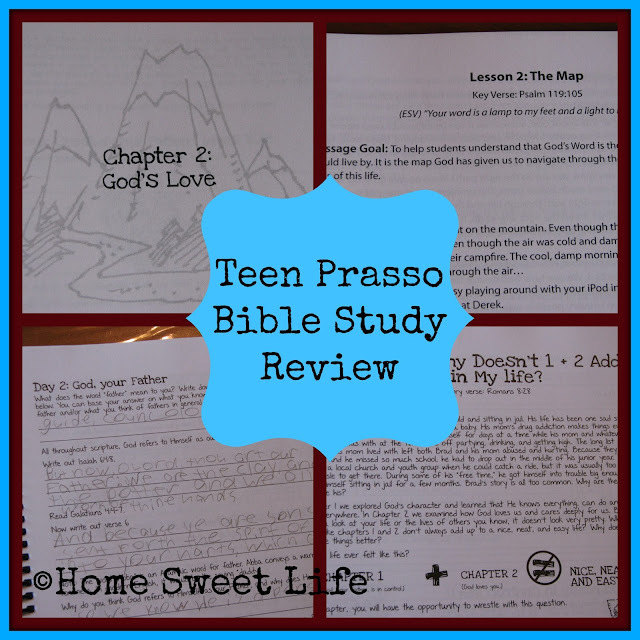 For the past several weeks Arlene and I have been reviewing the Teen Prasso Teacher’s Manual and Homework Manual from Prasso Ministries. Prasso is a Greek word that means to continually, repeatedly, and habitually practice. That makes Prasso an ideal name to use for this Bible Study. Teen Prasso is designed for use in a group setting, but could be adapted for use at home as well. If you are doing this at home, we would suggest you have at least two teens participating, but three or more would be even better. Arlene and I adapted the group lessons some and took turns reading the parts as there were just the two of us. Our discussions were shorter than what was suggested, but part of that is that we have discussions about the Bible and our culture all week long. The Teen Prasso teacher’s Manual and Homework Manual are designed to be used over 13 consecutive weeks, having an introduction week and 12 lessons. The goal of the study is to give teens, who are often overwhelmed by the culture we live in, time to slow down, study God’s Word, and reflect on how it impacts their lives. These softcover spiral bound books are filled with lots of quality information, and the Teen's Journal (Homework Manual) includes some funny illustrations. At first I was skeptical about how in depth a group Bible Study for teens would be simply because I have found many of them either lacking depth, designed only for students who do not have a good home life, or both. I was won over by Teen Prasso as its multifaceted approach draws the teen in, and then has them truly studying God’s Word from the first week. In the group setting, the Leader, using the Teacher’s Manual, leads the teens by 1- reading sections of the story of two brothers, Brandon and Derek, as they attempt a backpacking trip into the Rocky Mountains to climb Long’s Peak, 2- reading Scripture passages that relate to choices, and 3- leading the group discussion. The Homework Manual has six sections for each week. 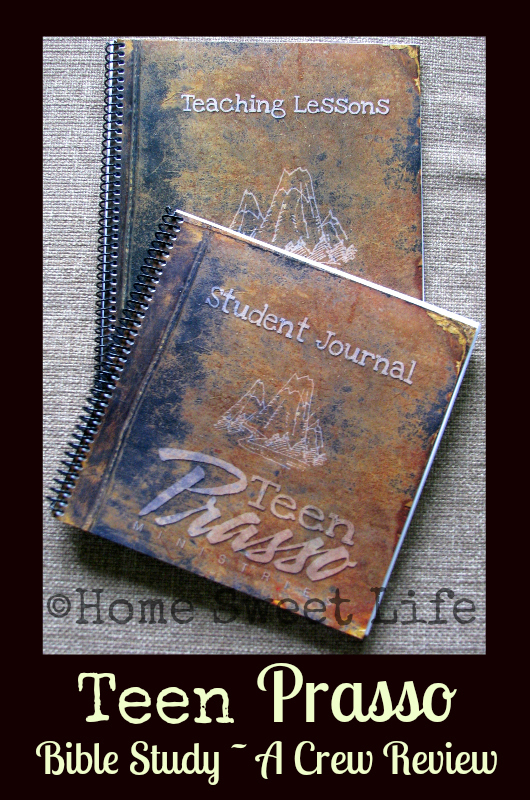 I was impressed by this journal for the teens because it asks then to dig into their Bibles, copy Scripture, and answer tough questions. Week one is about: God, Your Heavenly Father. It uses Scripture passages that are straight-forward, making this study applicable for students who are new to church, and those who have grown up in a household of faith. There are five days of study, then on the sixth day the teen has a Rethink lesson where they go over the five lessons and write out the parts that were most meaningful to them. Also in day six, they think about and answer questions for the group discussion. In week 2: God’s Love, the Gospel is clearly presented, and the teen is challenged to be honest and open with God. Repentance is explained and encouraged, and the teens are reminded that any sin is still a sin. The other ten lessons cover Pressure, Anger, Forgiveness, and a host of other topics. The story of Brandon and Derek introduces the topic each week, the group Scripture readings give God’s perspective on them, and then the teens study about the topic all week at home. Note to parents: this is for teens, not younger children. I really think the Scriptures covered, and the way the story of Brandon and Derek unfolds, should be reserved for those 13 and up. If you have a younger group, this is not the Bible study for you. I personally would not recommend it for teens under 15 as the at-home sections really challenge the teen to think about the messed-up culture around them and how they need to choose to be different. These are young adult topics, and should be discussed at home as well as in the group setting. This is definitely a study where you need both the group setting and the individual homework manual to get the fullest experience. I understand that some teens will have a difficult time sharing in the group setting, yet just being there and hearing the lessons, and what others share should enrich their lives. I liked how Teen Prasso had you copy verses into the student workbook, that gives you time to think about the verse before you answer questions about it. At the end of each chapter there is a Rethink section where you write the part that was most important to you about each day. Then there is a set of questions to get you ready for the next group discussion. I found that the amount of space for answering each question is small, so I had to write really small. It would be better to have more lines for each question. The story is divided into three parts for each group lesson, with the discussion in the middle parts, so you don’t have to remember everything until the end of the lesson to talk about it. If you’re looking for a Bible study for your youth group, teen Sunday school class, or just for your teenagers and their friends, check out Teen Prasso! Click the banner below to read what the other Crew reviewers had to say about Teen Prasso.